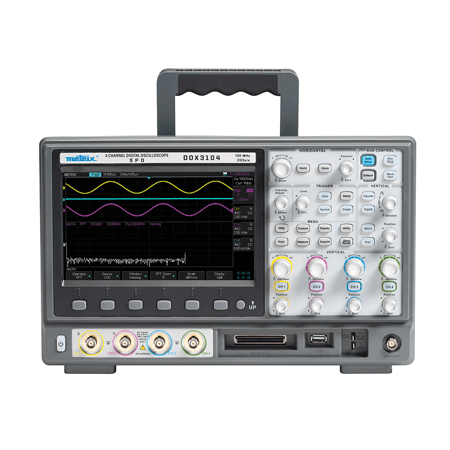 The DOX3104 is a comprehensive digital oscilloscope equipped with a 25 MHz arbitrary function generator. 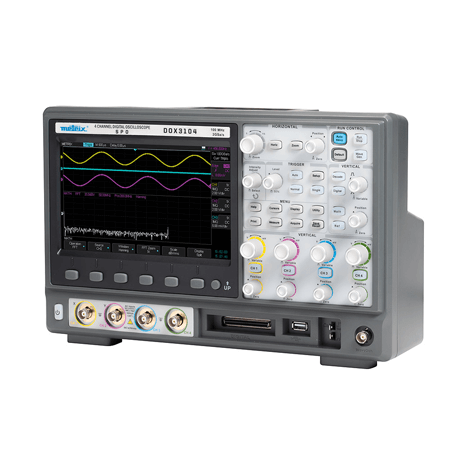 The capacity for recording faults and events is optimized by waveform capture (up to 110,000 per second). 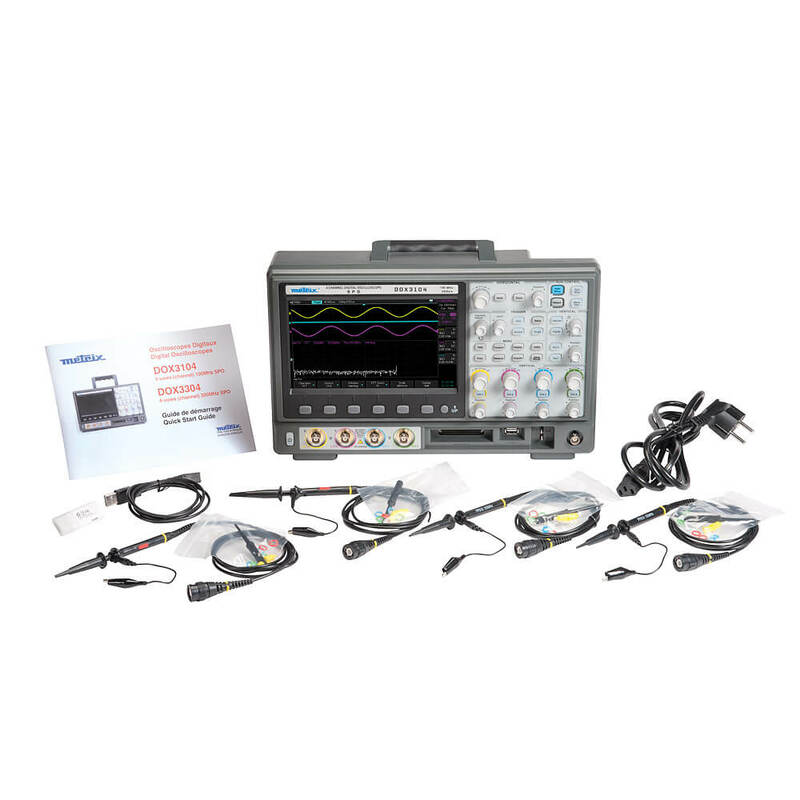 The 8″ colour screen offers 256 colour levels to adjust the brightness of the waveforms. Variation of the brightness, which is adjustable, makes it easier to view curves with colour shading. The memory depth of up to 28 Mpts (1 channel) at a rate of 2 GS/s allows users to capture fast transient signals, with optimization of the memory by segmentation. A powerful statistics mode can be used to search for events in a recording or analyse the signal’s stability by means of standard deviation measurements. enter and incorporate information on the signals in the reports drawn up on site or in archived files, without any programming. Modify the signal: by drawing, mathematical function, etc. Send data to the ‘send scope’ memory location available on the generator: 4 ARB locations available.